Do the Warriors Have Clutch Players? 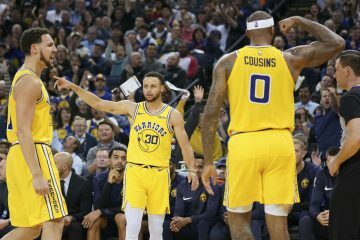 Last Sunday, the Golden State Warriors (23-41) put themselves in a rather large hole on the road against the Minnesota Timberwolves (26-39). They were faced with a 20-point deficit early in the game and then managed to come back in the third quarter to make a game of it. Ultimately the Dubs would prevail in this contest thanks in large part to Charles Jenkins’ mastery of the point guard position, as he went Chris Paul on the Wolves and put up 24 points and nine assists on 12-for-22 shooting from the floor. Jenkins set up teammates perfectly and knew when to assert himself offensively and deliver the goods. 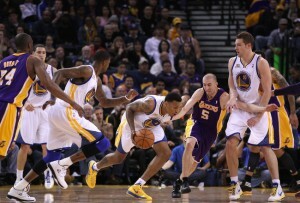 But the contributions of another player largely went unnoticed given Jenkins’ performance on this night: Brandon Rush. The former Jayhawk came off the bench to score 19 points and collect nine rebounds on 8-for-17 field goal shooting. In addition, after Pekovic scored with the foul to put the Timberwolves up a point late in the ball game, it was Rush who came back the other way and hit a dagger 3-pointer to give the Warriors a 90-88 lead with 1:09 left in the game, which eventually lead them to victory. One might be inclined to think that Rush’s heroics were a one-time thing, but it’s actually quite the contrary. His ability to move without the ball and assert himself when he does catch it make him a constant threat in clutch situations. Granted, when Stephen Curry and David Lee are on the floor, it stands to reason that they will get the bulk of the shots in crunch time and also that Klay Thompson will be a huge beneficiary of this given his ability to shoot the ball. But conventional wisdom isn’t always entirely accurate. This season, Thompson has slowly been figuring things out, but he has been for the most part mediocre in clutch situations. He suffers from the disease that many NBA players have: hero ball. Indeed, Thompson is still in his rookie season and obviously still has room to grow and improve, but late in ball games he tends to chase shots instead of letting them come to him. For instance, he often catches the ball and shoots it or simply takes one dribble and lets it fly no matter how well he is defended. When’s he’s open, he’s money; but otherwise he tends to hurt the team somewhat, and this is reflected in his late game production. According to StatsCube, Thompson converts 31 percent of his field goal attempts and 29 percent of his 3-point field shots in clutch situations (Stats Cube defines clutches situations as the last five minutes of the game with the scoring margin within five points); a far cry from his regular season figures of 44 percent from the field and 42 percent from long-range. 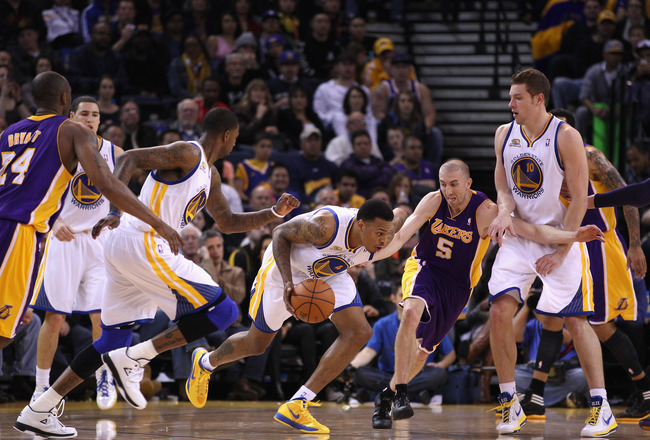 Brandon Rush on the other hand is sneaky good in late game scenarios. During the course of the regular season, Rush is converting 50 percent of his shots from the floor and 45 percent of his attempts from 3-point range. But put him in the clutch, and those figures improve. StatsCube tells us that in clutch situations, Rush hits 56 percent of his attempts from the floor and 50 percent of his attempts from 3-point range. Those are impressive figures but it’s important not to overreact to them either. Indeed, Rush is not Kevin Durant or Kobe Bryant. Putting the ball in his hands at the end of the game and asking him to get you a basket against the opposing team’s toughest defender isn’t exactly in the cards. 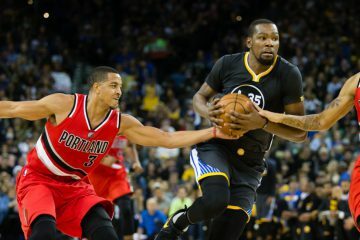 In late game situations, defenses tend to load up on the opposition’s best scoring option with the intent of forcing a very difficult shot from a player that they are well aware will try to shoot the ball regardless of how much defensive pressure is thrown his way. Brandon Rush benefits from this because he refuses to bail defenses out by merely standing in one spot where his defender can maintain his attention to the ball handler. Instead, Rush moves around to open spaces on the floor by cutting hard to the basket or by spotting up from 3-point range while his defender momentarily loses track of him. There, Rush can either put up the shot — where he is quite confident in his shooting — or pump fake and then get to the rim for a basket or get fouled. The irony of this of course is that Rush often gets ignored down the stretch of games, no matter how scorching hot he is, in favor of conventional wisdom; which has been to feed David Lee and Klay Thompson for the most part. It’s not that those players are not good options, but rather than feeding them and having them take tough contested shots, there is nothing wrong with deferring to a player that is often left wide open and that will actually convert the majority of his looks. 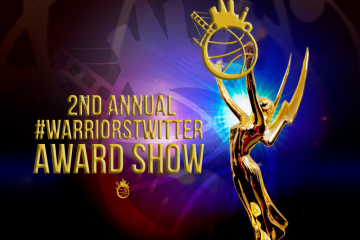 This could be a huge factor next season in determining whether the Warriors make the postseason or not. 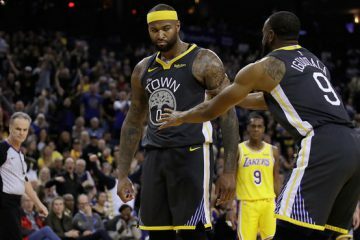 Wins and losses are often determined by which team makes the easiest plays late in ball games — Los Angeles Lakers notwithstanding — and the Warriors have tried to complicate things for the most part this season, which has translated to several late game collapses. Live, learn, practice and execute in 2012-13.